My advice here assumes that an adult (a human adult) will be home with the dog most of the day. I've written a different article for households where everyone works or goes to school most of the day. Do not bring home a puppy under 7 weeks old. This is one of the most common mistakes that many owners make. "But the breeder said you can take a puppy from his mother as soon as he's weaned and eating solid food...."
That's not quite right. Yes, when the puppy can eat solid food, he can survive without his mother.... but that's not the whole story. 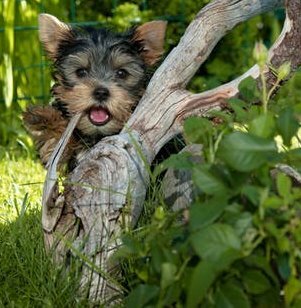 THE FIRST SEVEN WEEKS of a puppy's life can be critical in determining how he will act later toward people and other dogs. It is during this full seven-week period that a puppy's mother teaches him something called bite inhibition – which simply means how to control his mouth and teeth. It works like this: If Puppy bites too hard during play, Mother will give him a good hard shake or a retaliatory nip. If Puppy responds to her discipline properly (by acting submissively, basically shouting, "I'm sorry! "), Mother will be satisfied that Puppy has gotten the message. 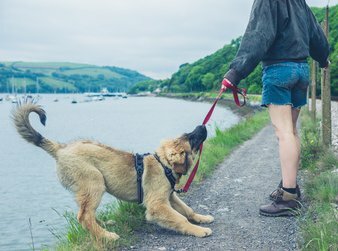 In this practical way, a puppy learns to restrain his nipping, to respect other dogs, to recognize canine social signals, and to accept discipline. A puppy removed from his mother before those full 7 weeks has missed those important lessons. So he frequently ends up having problems with other dogs. He may also be nippy with people and may resist discipline. So leave puppies with their mother for 7 full weeks. Seven to twelve weeks of age is the prime learning period in puppies. If someone is home all day, and the puppy lives indoors, and you're there to guide every contact your puppy has with everything new, you will be building him into a confident, well-socialized, well-behaved adult. If everyone is gone during the day, or if the puppy is kept outdoors or in the garage or basement, he will learn how to whine and bark, how to dig holes, how to chew on inappropriate things, how to do whatever he wants whenever he wants. A puppy who learns these things will be hard to rehabilitate later. 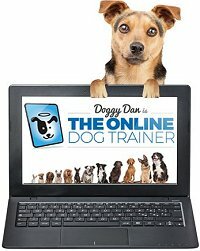 My puppy training book will show you how to teach your puppy all the right things. But you need to be home to provide short (30-second) training sessions sprinkled all through the day. On the negative side, a 7-12 week old puppy is very immature. He is an ignorant mouth on legs. He will chew, shred, and swallow everything in his path. He is oblivious to danger – he will run under your feet, fall off the edge of a high deck or open stairwell, run right up to a large aggressive dog, or stand innocently in the path of an oncoming bike. He needs constant supervision and you must be constantly scanning the floor, the ground, and all around him for potential dangers. He will pay very little attention to your voice. If you make a sharp distinctive sound, you can catch his attention. But when you talk to him, his attention span is so short that he won't listen for more than a moment or two. He doesn't understand that your sounds have any meaning. His bowels and bladder are not fully developed. He might (or might not) be able to sleep 6 hours during the night, because his metabolism, including his digestive system, slows down for sleeping. But during the day he can't control his bowels or bladder for more than a couple of hours. So he needs frequent access to a bathroom spot. Housebreaking will take many weeks as his internal organs develop. Is there much difference between a 7 week old puppy and a 12 week old puppy? Yes, there is a world of difference! A 7 week old puppy is incredibly babyish. His vision is weak. His eyes don't track or focus well. If you throw a toy for him, he may have no idea where it has gone, so he loses interest and wanders away. It's hard to do anything with a 7 week old puppy for more than a couple of minutes. 8-10 weeks is a bit more developed, physically and emotionally. The puppy is capable of paying a little more attention to you. An 11-12 week old puppy is even better developed. This can be a fine age to bring home a puppy. In fact, in Toy breeds, you should NOT bring home a puppy less than 11 or 12 weeks old. 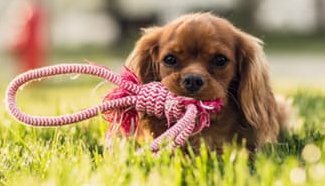 Toy breed puppies are so fragile that the stress of going to a new home can trigger health problems that can sometimes be life-threatening. This is another fine age to acquire a puppy. Puppies of 3-4 months old are active and playful and able to focus nicely on you as you're teaching basic words, such as their name, No, Sit, Come, etc. On the negative side, at three to four months old, a puppy often begins to test his limits, trying to find out who is in charge. He may nip at your fingers, or grab the leash in his mouth when you try to walk him, or clamp his jaws around a toy and refuse to let go, or struggle or growl when you try to clip his nails or clean his teeth. Now, don't let this scare you! Most puppies try only a couple of these things, and if you handle it properly, they respond very positively and are happy to let you be in charge. Most puppies simply want to find out whether you are confident enough to be the leader. Puppies who are very dominant will be more persistent. If you fail to establish your position with these puppies, you'll be in for a host of behavioral problems as they become older and stronger. Respect Training establishes your leadership position and teaches your puppy how to assume a psychologically healthy "follower" position. Follow the Respect Training program in my puppy training book and you and your puppy should be just fine. A puppy of 4-8 months old is enthusiastic and playful, but typically more complicated to handle than a younger puppy. "Pushiness" may continue (or begin) during this period, with the puppy acting a bit willfully as he tests his limits. This period is also called the flight period. At 4-8 months old, a puppy becomes more independent. He may begin playing a "game" where he stays just out of reach when you call him or stretch your hand toward him. He may even dash away from you at a mischievous gallop. Obviously this can't be allowed to continue. A puppy should never learn that he is faster and more agile than you are. SO.... a puppy of this age who is showing signs of trying to evade you should not be off leash outdoors, except in a small confined yard where you can easily catch him. In a larger yard, you can fasten a long lightweight line (10 or 15 feet) to the puppy's collar and let him drag it around. Then if he's running away from you and you need to catch him, you can easily step on the dragging line. Never leave a puppy alone with this long line attached! He could get it tangled around something and choke himself. Always stay with the pup. These are the months to work consistently on the "Come" command – always within a small confined area or with a dragging long line, so you can enforce it every time. The Come command is taught in my Respect Training for Puppies book. Now we come to the most challenging period in a dog's life: the adolescent period. At around 8 months old, the adolescent period begins. In smaller breeds, it might begin a little earlier, around 7 months old, and last until a small dog is 12-14 months old. In larger breeds, it begins around 8-10 months old, and lasts until a large dog is around 24 months old.... yes, that's a long time! In both dogs and humans, adolescence is a time of independence and sometimes rebellion. His appearance is quite settled, so you can predict what he will look like as an adult. This is a plus if you want a dog with a particular appearance. By 8 months old, a pup has usually had SOME training and socialization. 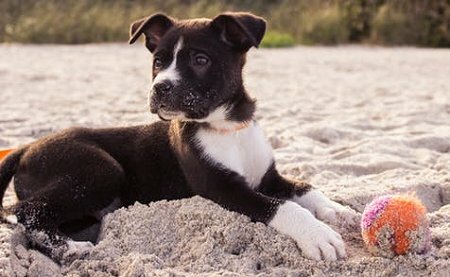 It can be a big plus to adopt a dog who already understands the basics of housebreaking, walking on a leash, getting along with people and other dogs, etc. He is past the cute stage. 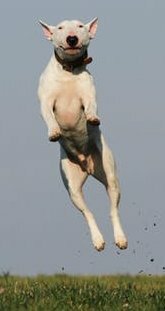 Indeed, the adolescent period is often called The Uglies because the pup's body grows rapidly and disproportionately. At times he appears to be all legs. Canine teenagers, like human teenagers, can be gawky and awkward. Also like human teenagers, as the hormones start to flow, a canine teenager experiences the physical and emotional upheavals of adolescence. He may become boisterous and "full of beans", romping through the house and (if he is a big dog) sending breakables flying. He may become willful or unruly as he makes one last push for the leadership position. You have to be firm and utterly consistent as you nip bad habits in the bud and maintain control of an adolescent dog. During the adolescent period, increased testosterone stimulates a male to start lifting his leg to spray his urine higher. Females are affected by hormones, too, and a female will have her first heat period. Adolescent dogs can become unpredictable. A puppy who had gotten along famously with the world might suddenly start acting "weird" toward strangers, other dogs, or unfamiliar situations. He may bark at men wearing beards or sunglasses. He may spook at loud sounds. He may become fearful (or aggressive) toward other dogs. He may shy away from a fire hydrant he's seen a hundred times. How long do adolescent behaviors last? That is, IF you handle those behaviors properly. And IF the puppy has inherited genes for a good temperament. And IF his early environment was a good one. 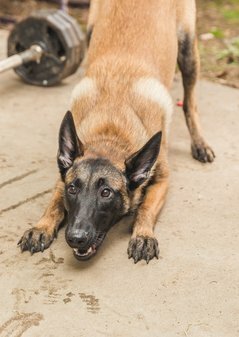 On the other hand, these new behaviors may be PERMANENT if your pup's parents had a poor temperament and passed those genes along to your puppy... or if your pup was removed from his mother before 7 weeks old.... or if he was raised in a puppy mill cage or frightened or stressed at an impressionable age. It is during the adolescent period that bad genes or a poor early environment often catch up with a puppy. Then it may be too late to fix things. You can't change his genes. You can't go back and add positive experiences (or undo negative ones) during the important early weeks of his life. All you can do is continue training and socializing. It may make some difference in his future behavior. It may make little difference. Unfortunately, some things can't be fixed. As you can see, canine adolescence can be a tough time for owners! You need to channel your dog's increasing energy and exuberance into various forms of exercise and positive games such as fetch. But no "forced" exercise such as running beside your bike. An adolescent's growing bones and joints can be permanently damaged by strenuous exercise. You need to offer lots of companionship all through the day. 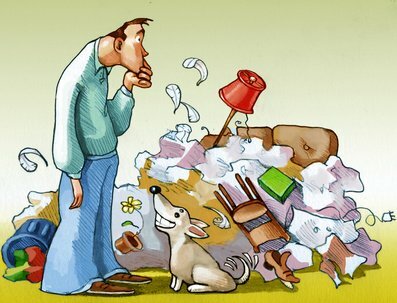 Leaving an adolescent dog alone for hours causes loneliness and boredom, which he will vent by barking and chewing destructively. You need to continue Respect Training throughout this trying period. Words like "No" and "Stop" and "Don't Touch" and "Come" are essential to teach. So.... young puppy? older puppy? adolescent? Are you sure that a puppy of any age is the right choice for you? Raising a puppy through all the canine growth stages requires a lot of time and effort. Knowledge, too. And the ability to "read" a puppy's expressions and body language, and respond appropriately to his behaviors. 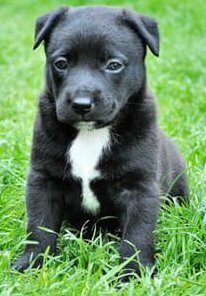 Many owners who acquire a puppy wish they hadn't when they discover that they simply don't have the time (or perhaps the puppy parenting skills) to "train him up in the way he should go". 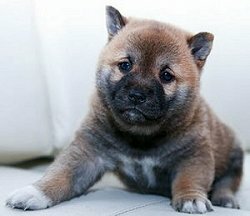 An awful lot of puppies are "screwed up" by well-meaning but busy owners who simply can't provide everything that puppies require on a daily basis. The younger the puppy, the more uncertain you will be about his appearance, temperament, and health as an adult dog. The younger the puppy, the more uncertain you will be about his appearance and personality as an adult. Same for health problems. The younger the puppy, the more uncertain you will be about which health problems might be lurking in his genes. Many serious and expensive health problems (joint diseases, eye diseases, epilepsy, heart disease, thyroid disease) won't show up for months, even years. But when they do, it will be a rude and heartbreaking surprise. 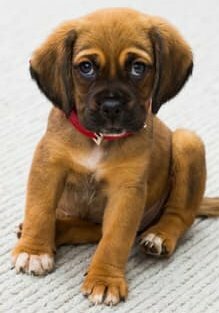 Now, if you acquire a puppy from a responsible breeder who has done specific health tests on both parents, the puppy has a much better chance of avoiding those particular health problems. But if your breeder didn't do those tests (shame on them! ), you won't know whether those health problems are lurking in your puppy's genes. The moral is this: When you acquire a puppy, you're acquiring potential – what he one day MAY BE. Do you want more certainty than that? Do you want a dog with a specific size, a specific appearance, or most importantly, a specific temperament? Adult dogs – a great option! When you acquire a puppy, you're acquiring potential – what he one day may be. When you acquire an adult dog, you're acquiring what he already IS. If you really want certain characteristics in a dog – or if you really want to AVOID certain characteristics – there are many adult dogs who have already proven themselves to have (or not have) the characteristics you're concerned about. Don't worry about an adult dog being able to "bond" with you. Puppies often leap around, oblivious to your existence, but adult dogs immediately recognize you as a "real person". 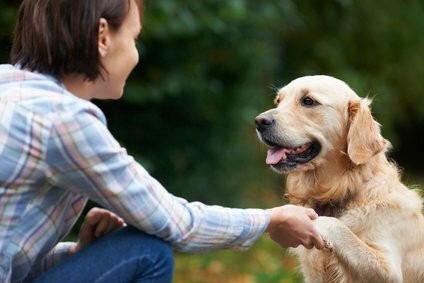 The responsiveness of an adult dog can be very rewarding to a new owner. Adult dogs have often had some training, and contrary to the old wives' tale that you can't teach an old dog new tricks, adult dogs tend to learn faster than puppies do. Wriggly puppies don't know how to listen or pay attention, but adult dogs look at you and have a much longer attention span. Age doesn't matter, either. People adopt 2-year-old dogs, 4-year-old dogs, 8-year-old dogs, all with great success. The important thing is to look for a dog who can pass the temperament tests (Chapter 11) in my Dog Quest book. "What has your life been like, sweet girl? What have you seen? What have you learned?" You probably don't know the background of the dog. So you can't know what experiences (good or bad) he has had in his life. You'll have to wait until you actually witness his reactions to men, women, children, large dogs, small dogs, cats, riding in the car, going for a walk, sleeping in a crate, and so on. The longer you can observe an adult dog, the better you can evaluate what he's really like. Established habits can be harder to change. 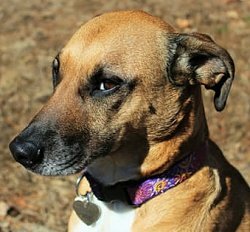 A dog who has been peeing in the house for several years, or who is accustomed to barking when left alone, is often more resistant to changing his ways. It's safer to acquire an adult dog from someone you know well, or from an experienced rescue group who has been fostering the dog long enough to have learned his habits. 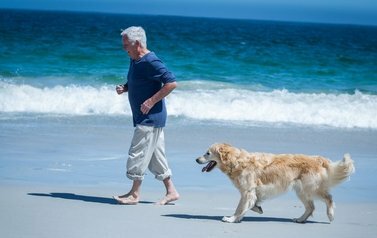 Health is always a concern in an adult dog, especially a purebred. You should assume that the dog's parents were not tested for any health problems before being bred. So the dog could have inherited a health problem and the symptoms just haven't shown up yet. The GOOD news is that most genetic health problems show up by a certain age (for example, epilepsy manifests at 2 to 4 years old). So as each year ticks by, the risk of specific health problems becomes less and less. It's always possible that an adult purebred might be very INBRED (closely-related dogs in his family tree). Inbreeding increases the risk of health problems. You should assume that the dog has not been raised in a healthy environment. He was probably eating yucky kibble or canned food. He was probably over-vaccinated or spayed or neutered too young. These practices can lead to health problems down the road. Or maybe not, as long as you immediately provide better care. Everything you need to do is covered in my health care book, 11 Things You Must Do Right To Keep Your Dog Healthy and Happy. People with health problems themselves seem to have a special place in their heart for needy dogs. My dear friend, who is disabled, just adopted an elderly Pug who is blind and arthritic. IF you can truly provide all of the required care and commitment, adopting a dog who no one else wants can be one of the most rewarding experiences of your life. My husband and I took home a little rescue dog with a severe skin condition and liver disease. The world of difference we made in her life made a world of difference in our own. But you must be sure that you can truly manage those health problems. It's unfair to take home a dog with special needs if you don't have plenty of time, money, and access to veterinary specialists. A kind heart just isn't enough – you need the resources. Elderly dogs are often ignored by potential owners, and they shouldn't be, because they can make absolutely marvelous companions. Dogs who are senior citizens are typically quiet and well-behaved. No matter what their age, every dog (and every person) has something wonderful to offer. "I've raised puppies on many occasions. Forget it! Give me the settled, all-together, well-mannered, devoted, loving adult who knows what life is all about, who is grateful for everything I do, and who gives so much in return. He may not be around as long as a young one. No matter. The quality of love he gives makes each day a special blessing. 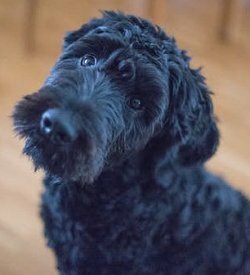 While puppies are running along the fence, barking, digging, chewing, ignoring my call for silence, the adult dog stands quietly at my side, content just to be with me."